Dessert First! August 27, 2010 dinner was held at the Capitol Hill Club. 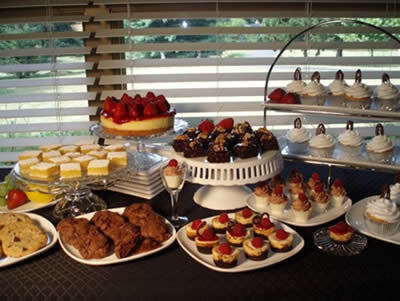 Once a Month, the Capitol Hill Club has generously sponsored an Aleethia’s Friday Night Steak Dinner with all the trimmings…But Chef Trevor’s selection of desserts is one of the service members favorite table to check out before they sit down to a juicy steak!